We have been itching to get out in the mountains with clients and it really has been a long winter. The 2018 season started in a great way and for once the weather was on our side both in the Lake District and Snowdonia. 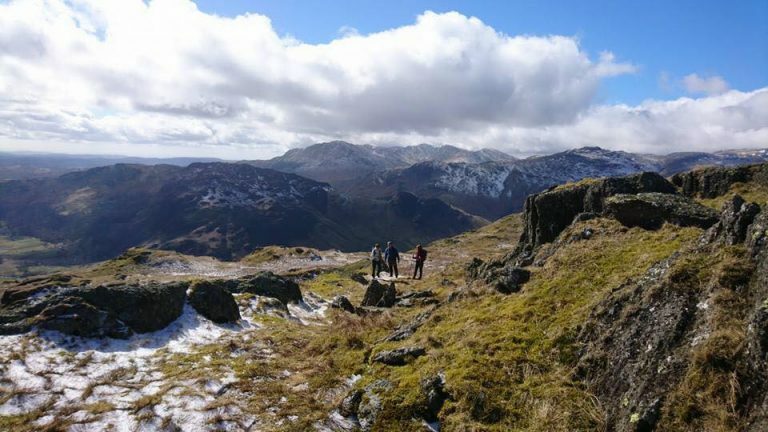 Our first walking group was out exploring the beautiful Langdale and Grasmere area on a two-day walking adventure in this fantastic part of the Lake District. Day one took them over some less-travelled peaks including Blea Rigg, High Raise and across the long ridge to Helm Crag above Far Easdale. 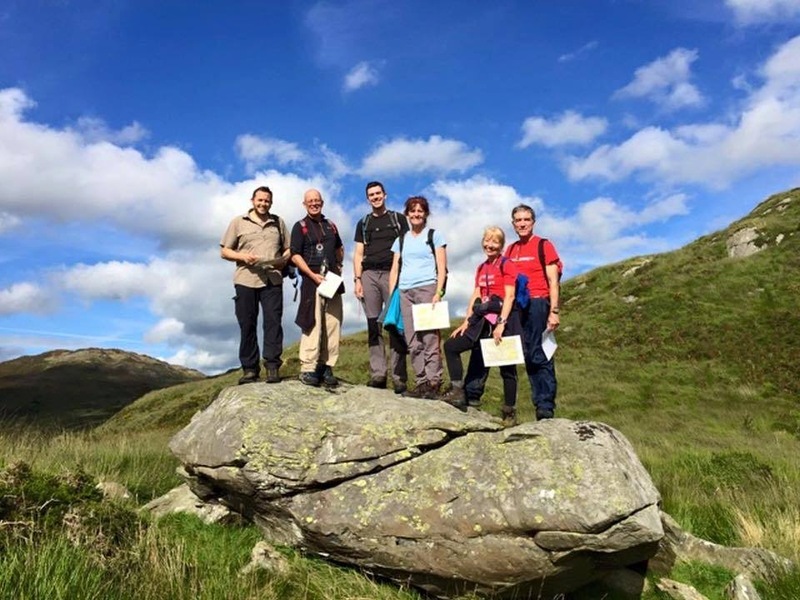 The second day of the Grasmere Guided walk was far more relaxed with a lower-level walk around Elterwater and over the smaller Wainwrights of Loughrigg Fell and Silver Howe. 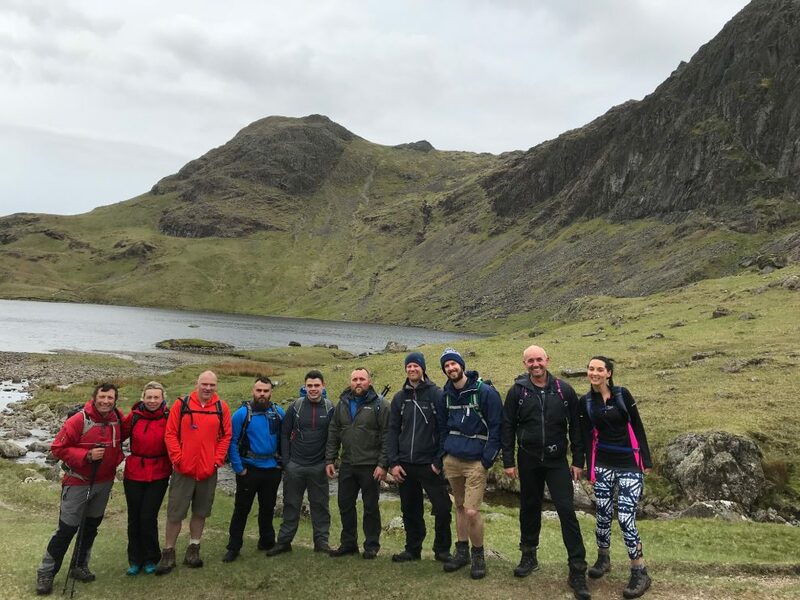 The group completed eight peaks over two days and loved exploring this area of the Lake District. They were hooked and are all looking forward to the Coledale 10 Peak Challenge. 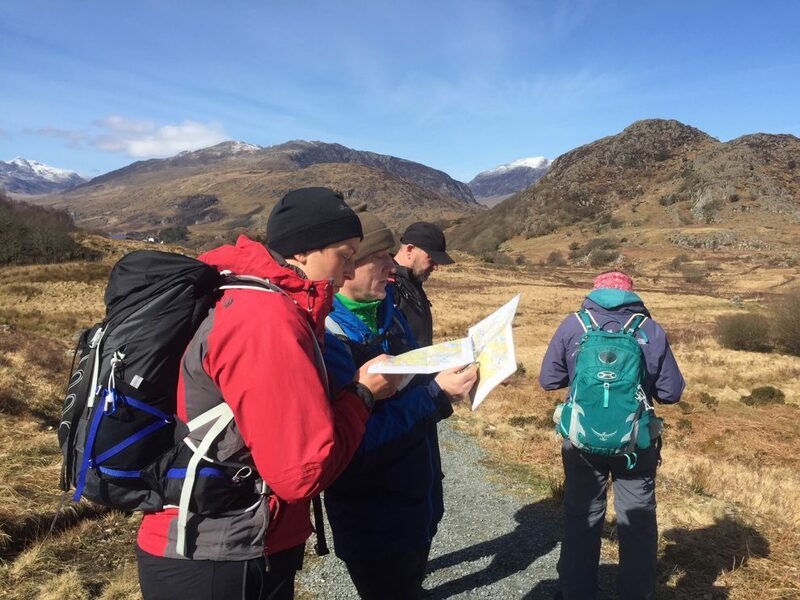 Mountain Skills were being mastered in Snowdonia as the first of our many hillwalking courses was underway. 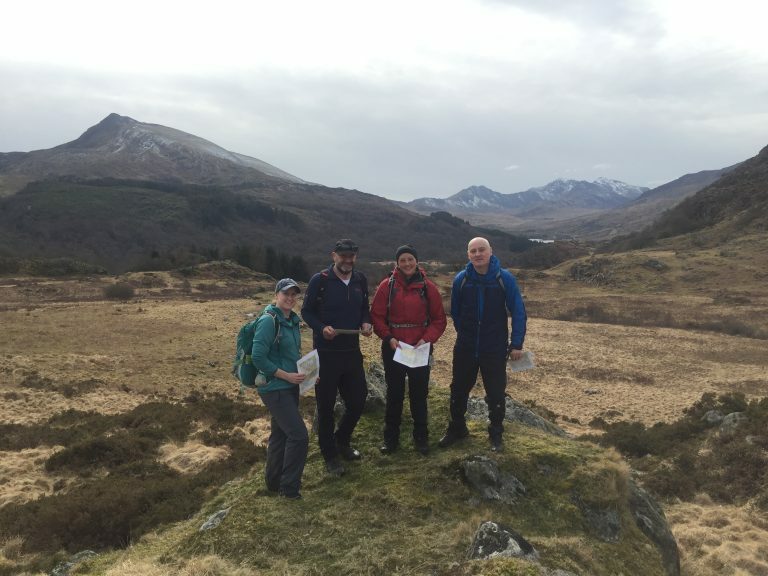 A day of navigation and walking skills around the Crimpiau area gave the group a solid understanding of how to use a map and compass properly before heading in for route planning…and cake. 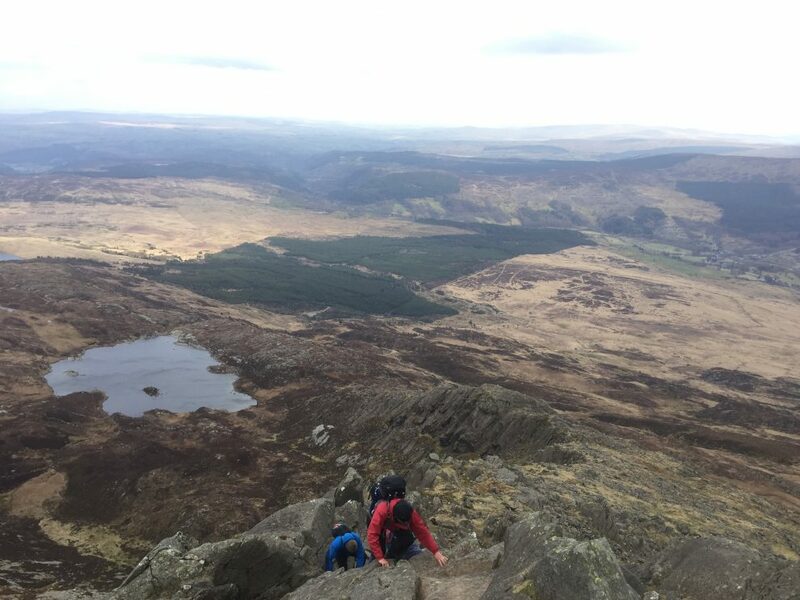 With lots of new skills, and a route planned, the group tackled Moel Siabod and its grade 1 scramble along the ridge to the summit. A fantastic group of enthusiastic hillwalkers who arrived with a good level of skill but left even more competent and confident. Stephen says: An excellent course, well presented and paced. At the end of the two days I felt confident I could use the skills learnt on future walks. We love taking out beginners. There is nothing we love more than seeing the progression from complete novice to a confident hillwalker with the skills to get out and explore the mountains. 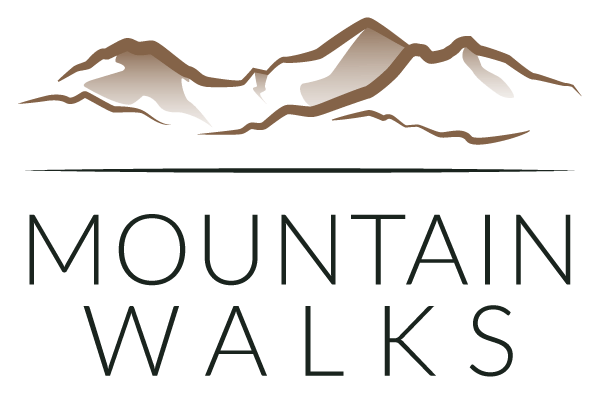 This 2-day Hillwalking Workshop has been specifically created for novices or those who have just got started hillwalking. The Hillwalking Workshop started with a day of navigation and route planning. Master navigation and you are on your way to hillwalking freedom. The group were extremely positive, enthusiastic and wanted to learn. We were really impressed with how quickly the whole group grasped navigation which is something so many people fear and struggle with. On day-2 the group headed to the Glyderau mountains which is where we spend a lot of our time on the Discover Scrambling course. 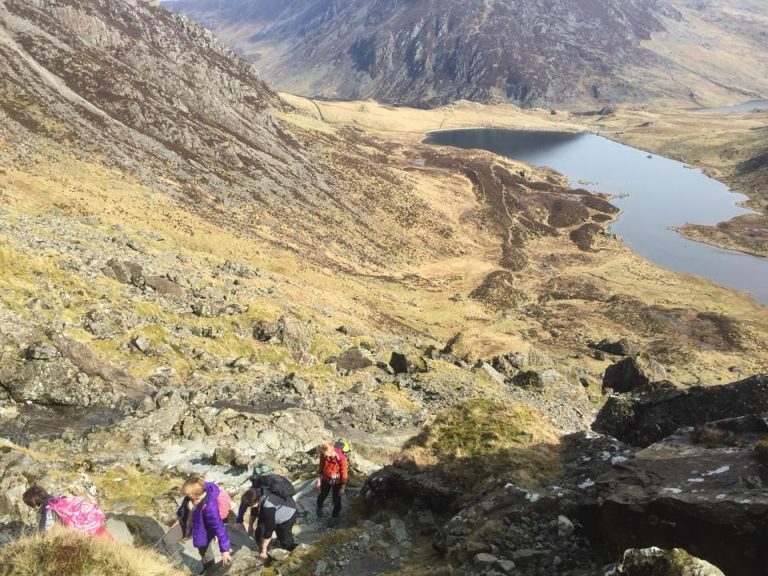 However, we stayed away from the iconic ridges and headed up Y Garn via Devils Kitchen with the group leading the way, making all the decisions and having a great time learning even more skills. We will look forward to bumping in to them exploring the mountains safely and competently.